Though mice can make cute pets in a controlled environment, wild mice should be kept out of the home and off of your property. Despite their small size, mice can do serious damage to a home if left to reproduce and build nests unimpeded. 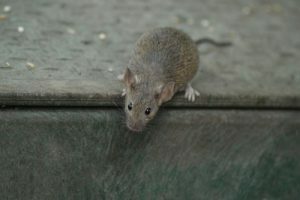 Critter Control® has built a reputation as the premiere wildlife management service in the Orlando area, so if you begin to suspect that mice have taken up residence on your property, our expert technicians are here to help. What sets Critter Control® apart from the rest of the competition is our total commitment to your animal issues. Not only do we remove all offending mice from your home using effective and eco-friendly techniques, but our technicians can professionally and permanently repair any damage the mice may have caused during their stay. To learn more about our mice removal services or to schedule a consultation, call us today at 407.295.7194.